They say there is no “I” in “team”, and it’s certainly true that no sports team can hope to accomplish much without fully understanding this concept. The idea that success in team sports requires its members working with one another rather than a horde of individual talents all trying to be showoffs is nothing new, and all the members of the Hesston College men’s soccer team were likely aware of that when the season began. But just in case they weren’t, head coach Kurt Hostetler made sure his 2012 squad, which features 17 freshmen, knew exactly what that meant. You see there is a significant difference between conceptualizing what teamwork means, and actually achieving it. You can say cheesy clichés like the aforementioned one, but coach Hostetler knew that if he wanted his young Larks to operate like the finely tuned machine he needed them to this season, he needed them to establish trust in one another early on. And so only a few days into pre-season training the Larks headed to the Prairie View Adventure course. There the team learned from a variety of obstacles and games that individuals, as good as they may be, can do very little by themselves. For example, one group was tasked with getting all of their team members across a series of ropes without any one of them being allowed to touch the ground, as the ropes grew progressively looser. They had at their disposal three trees to lean on along the way, and one other rope tied to the last tree that they could also use. At first they tried sending their most balanced players to run to get the rope with the intended course of action being that everyone else would follow to take the rope and use it to get to the finish. But try as they might this method failed repeatedly, and the heavy rain that had begun to fall in Newton didn’t aid the situation. This did not deter them; rather, it motivated them to be innovative about their strategy and to finish faster. And soon enough the Larks were using human chains to get places, using the rope to its full potential until all were safely across. Lessons like these are what any sports team needs to learn in order to fully understand the concept of working as a unit. Until you’ve experienced what working as a team actually requires, things like trust, confidence, improvisation (particularly in soccer), and most importantly communication, you’ll never be able to actually apply that mindset to real game action. But the Larks so far don’t seem to have fully grasped the concept. A 0-4 start while being outscored 15-2 is plenty of evidence of that. Watch any of those games and simple mistakes related to teamwork are consistently the Larks problems. Poor communication, missed passes, lapses in judgment and focus, and overall lethargy on the field are only a few examples of the issues plaguing the Larks season so far. But the lessons Hostetler instilled in his players through conscious efforts like their trip to Prairie View should, and I believe still will, fix these issues if HC continues to work on it. They will make these Larks better at adapting to adversity on the pitch and in the classroom, and they have already made this a team in the truest form. It’s a team in this for one another, Hostetler, and most importantly, Hesston College. 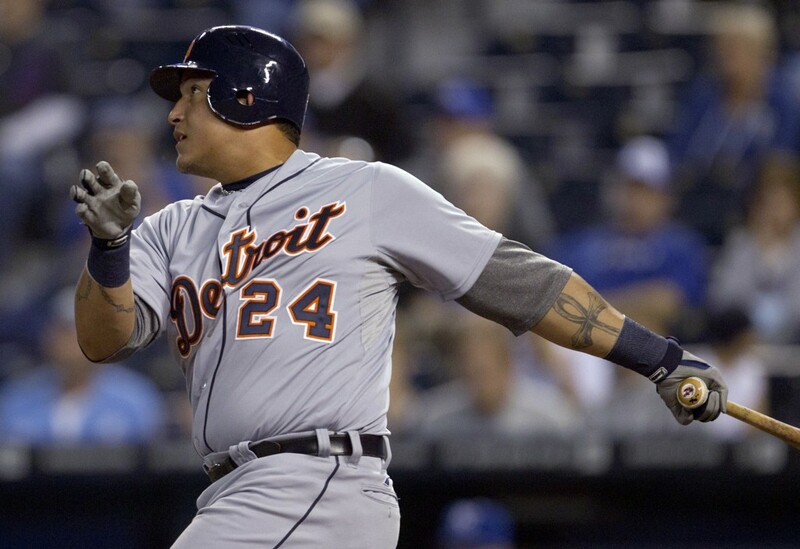 Everyone is impressed with Miguel Cabrera’s Triple Crown, except Miguel Cabrera.